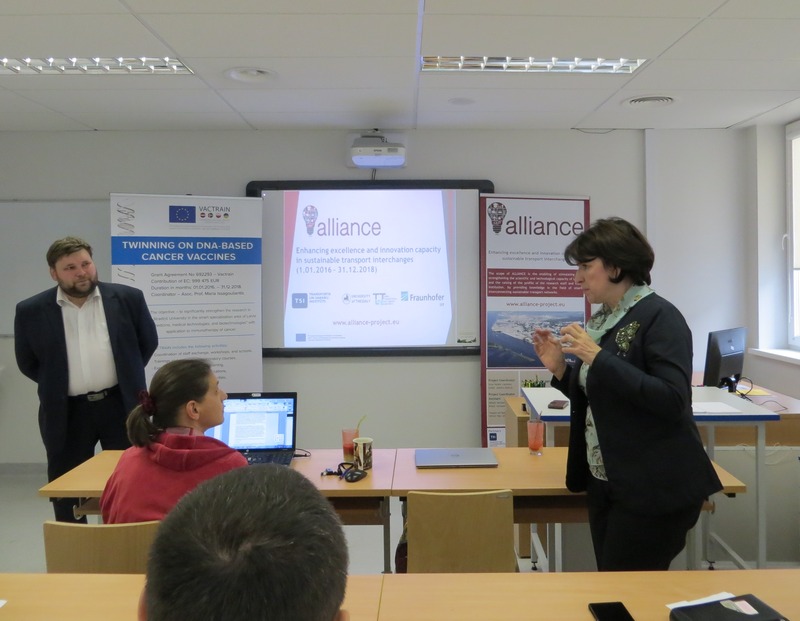 On 31 May, 2017 ALLIANCE project’s representatives Prof. Irina Yatskiv (Jackiva) (coordinator) and Dr.sc.ing. Mihails Savrasovs (Knowledge sharing workpackage leader) participated in a seminar regarding TWINNING projects’ implementation and proposal preparation. The seminar took place in Riga, Latvia and was organized by the Riga Stradiņš University (RSU) and Transport and Telecommunication Institute (TTI). 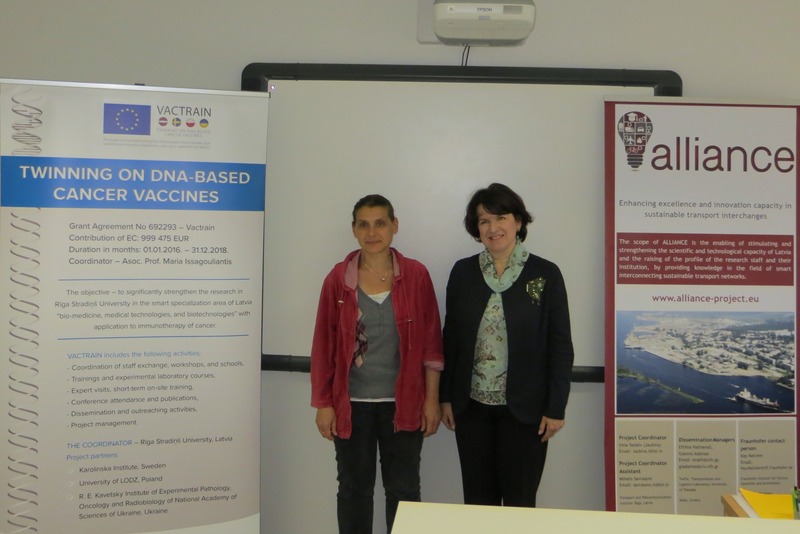 RSU currently implements the project “Twinning on DNA-based cancer vaccines (VACTRAIN)” and TTI runs the project “Enhancing excellence and innovation capacity in sustainable transport interchanges (ALLIANCE)”. 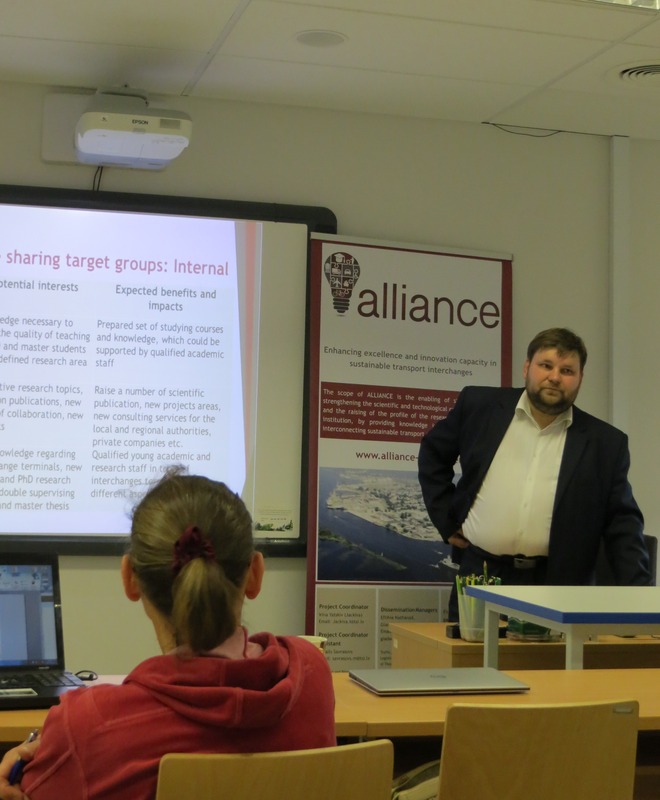 The goal of the seminar was to discuss implementation issues of TWINNING projects in Latvia and assess their impact on institutions and the latvian research community. After a brief presentation of each project, a roundtable took place with an interesting discussion regarding challenges in TWINNING projects’ implementation, possibilities to support activities of TWINNING projects by implementing national level projects etc. Given that the projects come from different research areas, the discussion was constructive for both sides.